As a whole, the life sciences really have one overarching goal, which is to develop and bring to market products that will in some way improve people’s lives. It doesn’t matter if you are an MD developing a life-saving medical device, or a CFO keeping an early stage biotech afloat. We all at some point recognize and pat ourselves on the back because the work we do has the potential to change even one life. This is not to say we (myself included) are enlightened saviors of the world; most of us are working to make a profit, for our companies, for our families, and for ourselves. Then there are the people who have found – and drive forward – the missions of the hundreds of disease foundations around the world. We always knew they were doing good things: educating people on disease, increasing awareness, organizing pledge walks and even funding research grants for investigators at research institutions. Lately however, foundations around the country have been investing directly in projects and products at for-profit companies. Foundations have the common goal of increasing the number of products being developed with the sole purpose of bringing treatments to patients. Conversely, the survival of any investment firm rests firmly on the bottom line, the return on investment. If the risk / reward profile is skewed too far, as in the capital requirements are too high for the risk involved, venture capitalists won’t touch the deal. Foundations have seen the widening valley of death for early stage companies, due to the poor financial climate and reduced government spending. As a result, a growing group of foundations are now taking it upon themselves to directly invest or set up separate bodies that invest directly in products and companies with the potential to bring products to the clinic. Autism Speaks is one such foundation. They recently founded an arm that has the mandate to invest directly in projects at for profit companies their scientific board believes will help treat the most severe cases of autism. Only months after their founding, they have injected $2 million into an early stage biotech company to fund a project that would have otherwise been too risky for such cash-strapped startups to finance. Foundations and all forms of venture philanthropy are poised to fill the market need in the life science sector. With the goal of supporting early stage research efforts and passing it off to dedicated investors, we may see these patient centric treatments entering more company pipelines. The relationship between foundation and company provides value well beyond simply providing cash. Some of the foremost scientific minds sit on boards of these foundations, and provide a network and the scientific acumen to which a company might not otherwise have access. 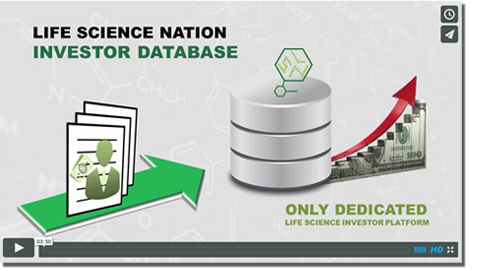 Here at LSN we have identified over 400 foundations and endowments focused on curing specific diseases. As more join the growing trend of venture philanthropy, we will see even greater opportunities for early stage companies to pursue their most pioneering research. Overall, this trend can only mean good things for the future of emerging life science companies, and the patients we all serve.